I’m also intensely focused when it comes to achieving goals. While some of this attitude is clearly genetic, it also comes from my certainty that it’s always possible to improve the odds of achieving goals. 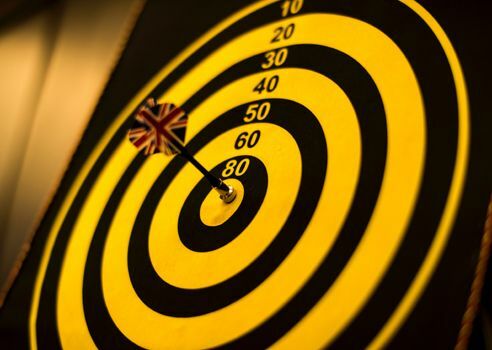 Eliminate any goals that aren’t your top priority: Take the advice of famous businessman and investor Warren Buffet, who is well known not just for the amount of money he makes, but also for his ability to focus relentlessly on what’s important. His favourite strategy? He tells people to list their top 25 goals and then circle the five are the most important to them. But here’s the kicker: He says, “Everything you [don’t] circle just [becomes] your ‘avoid at all cost list’. No matter what, these things get no attention from you until you’ve succeeded with your top 5.” If writing doesn’t make it to your top 5 list, I’m okay with that, and you should be as well. Always focus your time on what’s most important to you. Make sure your goals are modest enough: If you haven’t written regularly before, don’t set a goal of writing an hour a day. That’s way too ambitious. Instead, approach the goal more gradually. Start with five or 10 minutes a day and manage that for a month before you adventure into more ambitious territory. Plan how you’re going to eat your elephant: Many goals are so big they are at risk of choking us, (i.e. : they’re elephants.) And an idea without a plan is not a goal, it’s simply a hope. Instead of hoping, plan the daily actions you’re going to take to get the results you want. This plan should identify the small, non-intimidating steps you need to take every day to achieve the big scary goal you have in mind. Give yourself some deadlines: If you don’t know when you need to achieve a specific action, how will you know when you’ve succeeded? Giving yourself some small daily deadlines will help push you to achieving your longer-term goals. Just make sure the deadlines are small enough and reasonable enough that you are likely to achieve them. Also consider the merits of reverse-engineering these deadlines. Achieve at least some of your goals early in the day (AKA: prioritize them): Even if you’re a night owl rather than a morning lark, it’s almost always easier to start writing in the morning. Let me be clear: I’m not suggesting you wake up any earlier than usual. Instead, I’m urging you to do a small amount of writing soon after waking up. Many people dread writing and if you can accomplish your most dreaded task first thing, you’re going to feel great and you won’t wear yourself out with constant decision-making (should I write now or later?) If you’re a true night owl, you’re welcome to add another chunk of writing later in the evening. But do some in the morning, first. Turn your goals into habits: Aristotle said, “We are what we repeatedly do. Excellence is not an act, but a habit.” The key to achieving your goals is showing consistency. Did you know that if you write 300 words a day — the length of an email — five days a week, you will have 78,000 words by the end of a year? That’s the length of a book! Develop a tracking system: Have you ever kept a writing tracking record? I call this the “secret sauce” for successful writers. A tracking record will reduce your stress, improve your motivation, alert you to problems ahead of time and help keep you focused. Read more about the tracking system I use. Use visual clues to keep your goals visible: I enter my monthly and weekly goals into my electronic planner so I see them every time I look at it. But you can also use other systems. For example, you might want a large wall calendar on which you put an X through days where you’ve achieved your goals. Of you can use the paperclip method, where you place a stack of paperclips on one side of your desk and then move them to the other when you’ve achieved your goal. Anticipate trouble: We don’t always get to travel from A to B in a straight line. Be mentally prepared for obstacles that may appear in your way. If you’re easily distracted, for example, then figure out a time and a place to write that keeps distraction to a minimum. (If email is the problem, turn it off or go write in a coffee shop.) If you feel blocked, do a mindmap or start your writing with Write or Die. If you’re constantly lured away by the unholy trinity of Facebook, Twitter and Instagram, then consider getting a program like Self-Control (Mac) or Freedom (PC) that will block you from these apps. Analyze your successes and problems: It’s not enough to simply state your goals and develop a plan for achieving them. You also need to constantly evaluate whether what you’re doing is working. Analyzing what went right and what went wrong after you’ve finished your day will give you enough perspective to make tweaks that will help. Have an accountability system or partner: If you set goals and don’t share them with anyone, it’s no big deal if you fail to achieve them. This reality is why so many athletes have coaches or training partners. Writing is no different. You can set up your own personal accountability system with a friend, or you could consider joining my five-year-old accountability program Get It Done. More information and application form here. Reward yourself: Some writers I know pay themselves $2/day for writing. This is kind of an in-joke — the money isn’t serious, but the exchange is. It says that they value what they’re doing and intend to be paid something for it. Alternatively, you could buy yourself a latte or an iTunes song. Something small but concrete is an excellent payment for working towards any goal. Achieving goals isn’t as hard as you might think, but it does require thought and planning. It’s a bit like going on holiday. Most people don’t end up in Paris by accident; getting there requires some serious organizing. Similarly, you won’t achieve your writing goals unless you make a plan to achieve them. If you want to improve your ability to achieve your writing goals, consider applying to my Get It Done program. This three-month accountability group will give you the structure you need to become a more focused and productive writer. I’m hosting a no-cost webinar about how Get It Done works on Friday, Feb. 15 at 1 pm Pacific. Email me if you’d like to attend. No charge, but pre-registration is required. My video podcast last week described how to know when the mindmap for your book is complete. Or, see the transcript, and consider subscribing to my YouTube channel. If you have a question about writing you’d like me to address, be sure to send it to me by email, Twitter or Skype and I’ll try to answer it in the podcast. How do you achieve your writing goals? We can all learn from each other so, please, share your thoughts with my readers and me in the “comments” section below. Anyone who comments on today’s post (or any others) by Feb. 28/19 will be put in a draw for a copy of the bestselling novel Asymmetry by Lisa Halliday. Please, scroll down to the comments, directly underneath the “related posts” links, below. Note that you don’t have to join the commenting software to post. See here to learn how to post as a guest.